Financial responsibility for any charges and/or fees posted to their account as well as loans and financial aid accepted. Responsibility for understanding the Institute's official policies concerning schedule changes, withdrawals and leaves from the Institute and how these changes can affect their financial obligation with regard to aid eligibility. Any balance not paid or covered by financial aid by the due date noted on the bill will be subject to a late payment fee of $250. In addition to the $250 fee, students with unpaid balances will have a "hold" placed on their records. This means they will be unable to receive grades or transcripts, register for classes, or receive diplomas. If any amount is still outstanding at the end of the term, Rensselaer will require you to take a leave of absence. Re-admittance will be contingent upon payment of money owed plus full payment in advance for the next term. Should you fail to pay amounts due, the Institute may increase the amounts due by any attorney and collection agency fees, or any other costs or charges incurred in the collection of any amount not paid when due. Failure to meet these financial requirements by the specifed deadline set forth by the Bursar's Office will result in the cancellation of any and all registrations as applicable. The re-admittance deadline is one week prior to the first day of classes for each semester. 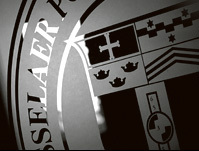 IF YOU DO NOT PLAN TO ATTEND RENSSELAER THIS TERM, YOU MUST formally notify the Student Success Office by the first week of classes or the charges will remain your personal obligation. FAILURE TO ATTEND CLASSES DOES NOT RELIEVE YOU OF FINANCIAL RESPONSIBILITY.